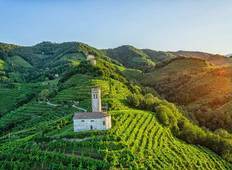 Explore a wide diversity of cultural tours in Veneto tailored to suit your taste and thirst for adventure. We have 9 tours that vary from 3 days to 10 days. With the greatest number of departures in July, this is also the most popular time of the year.